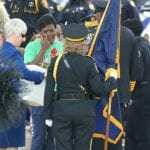 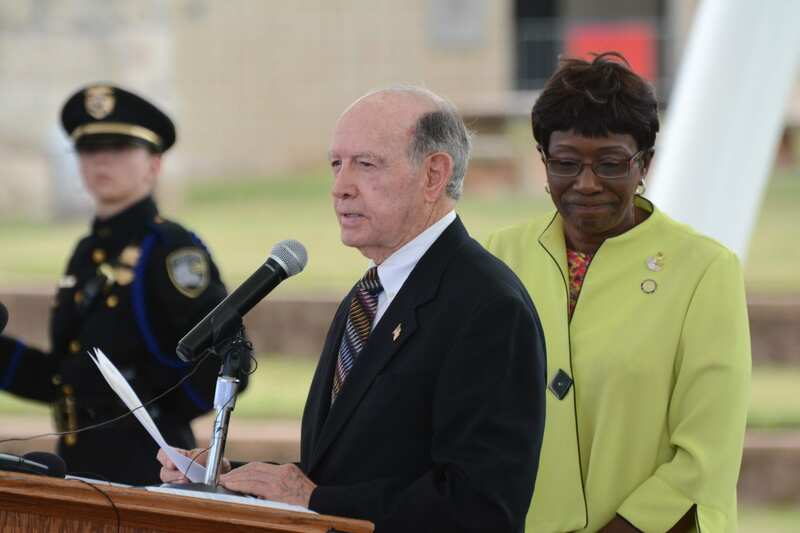 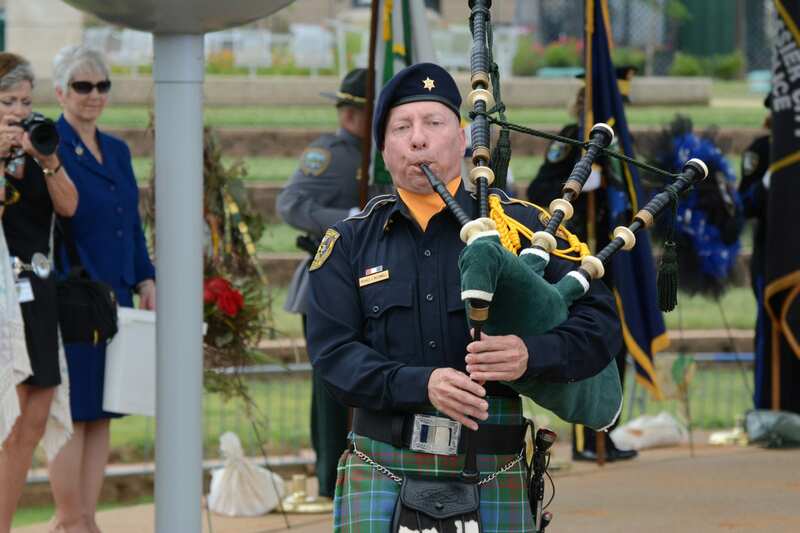 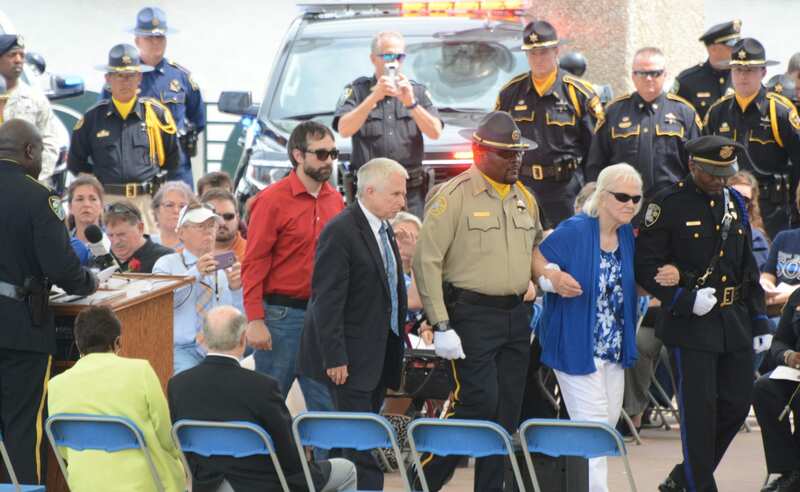 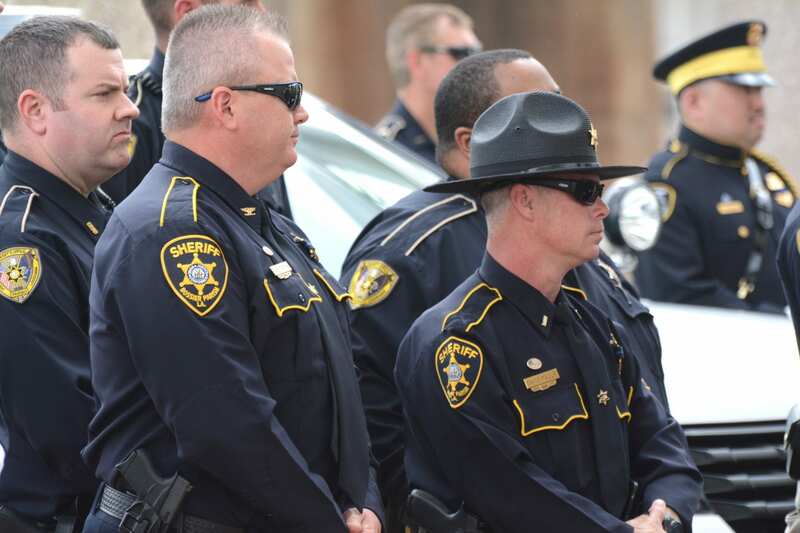 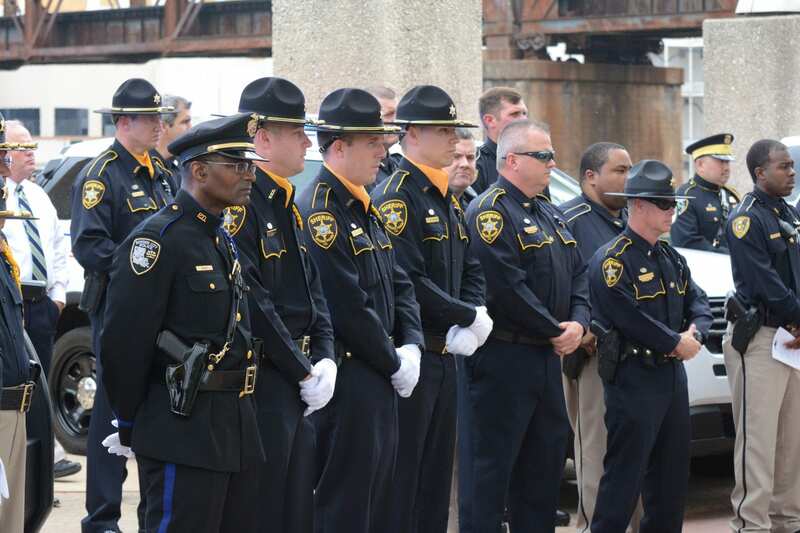 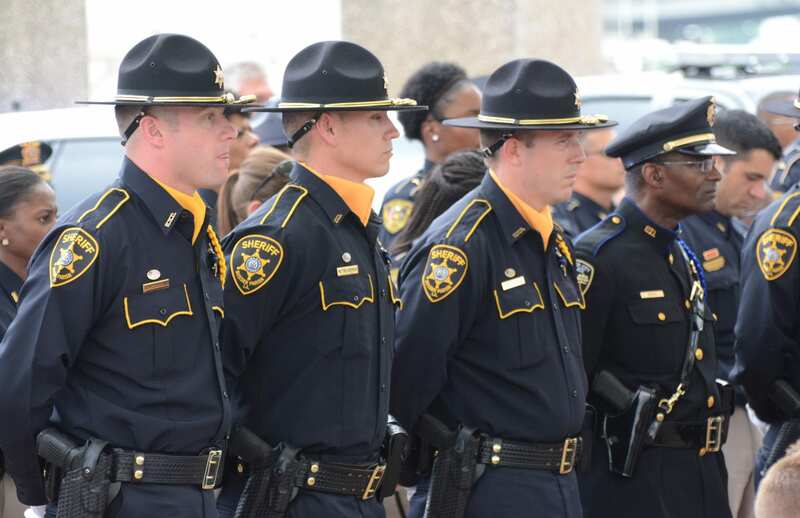 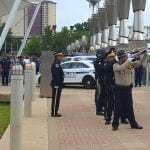 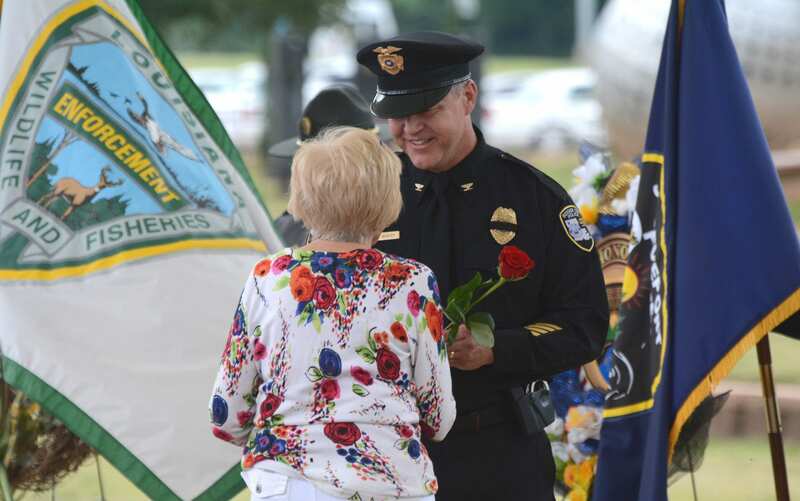 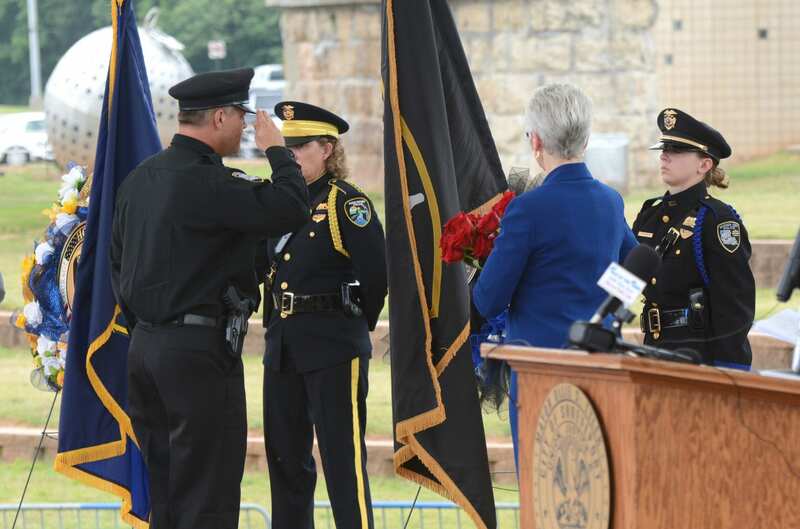 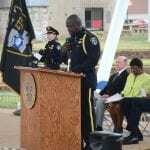 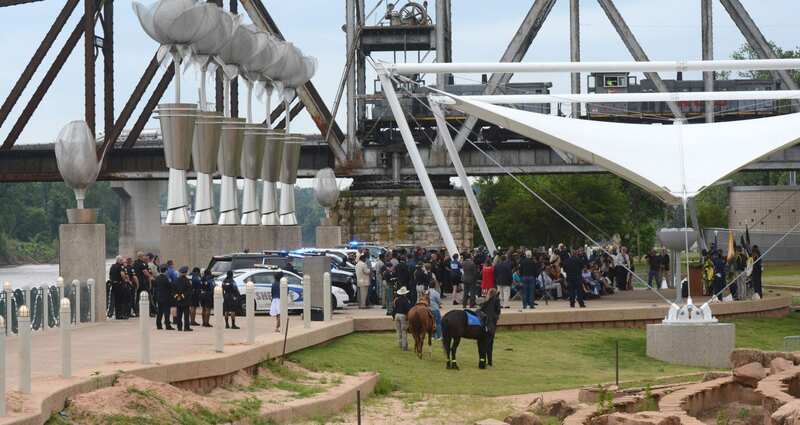 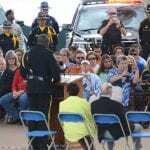 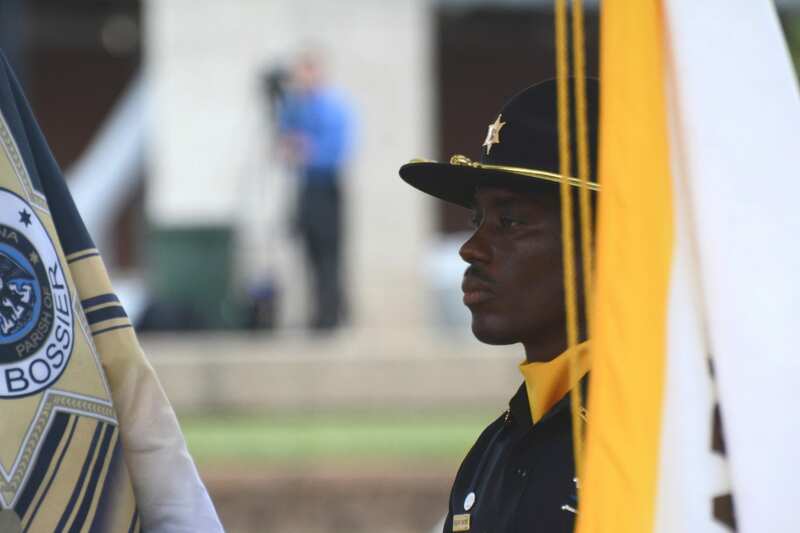 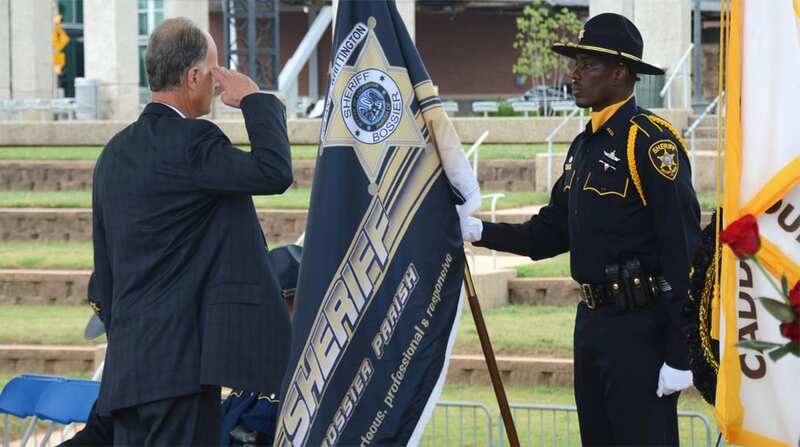 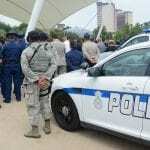 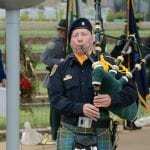 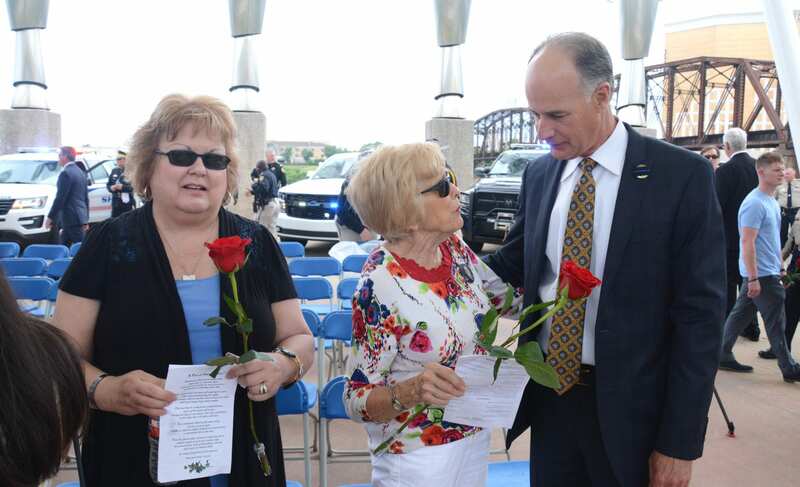 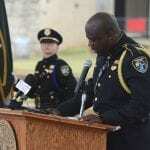 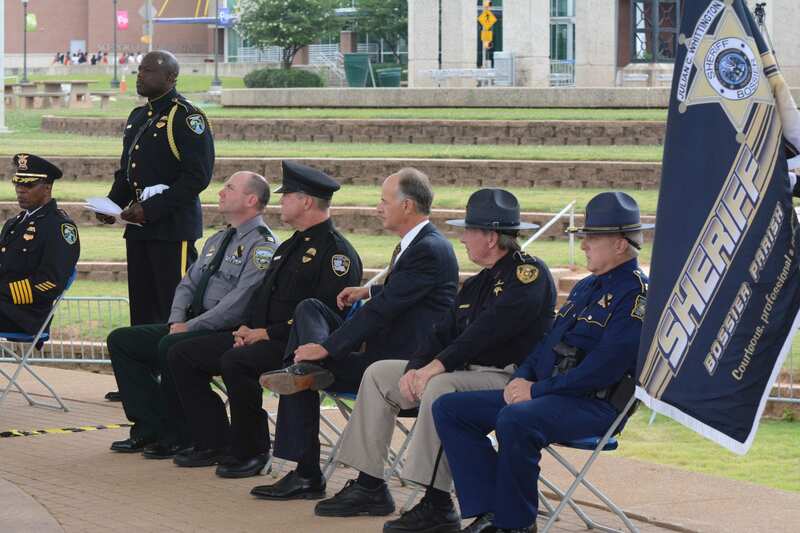 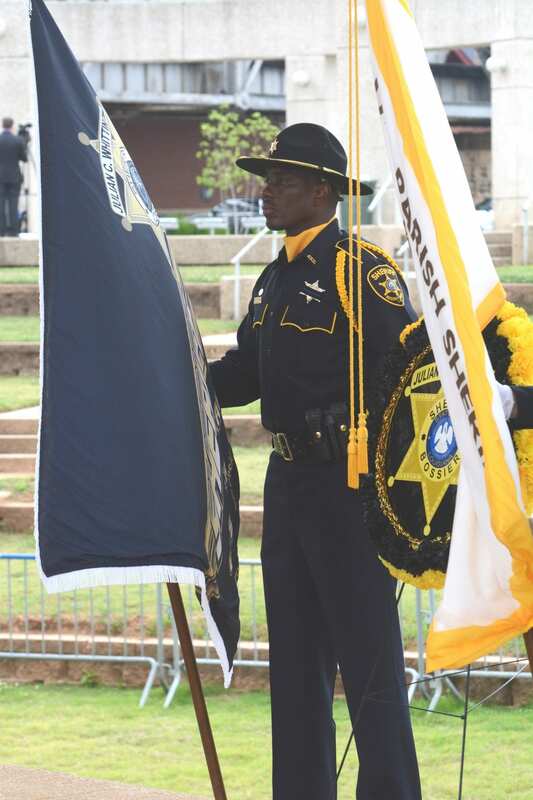 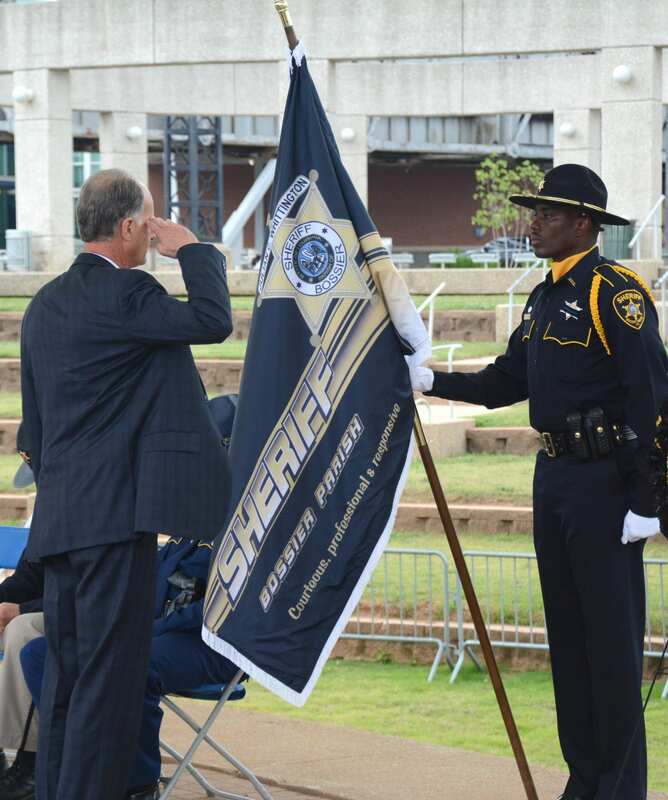 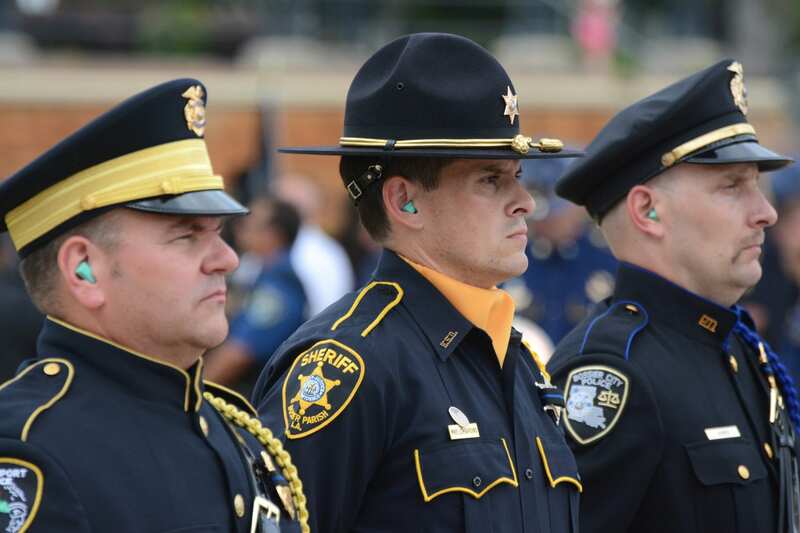 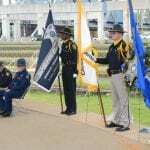 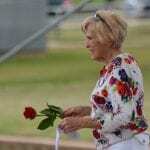 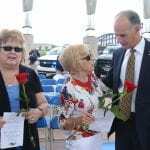 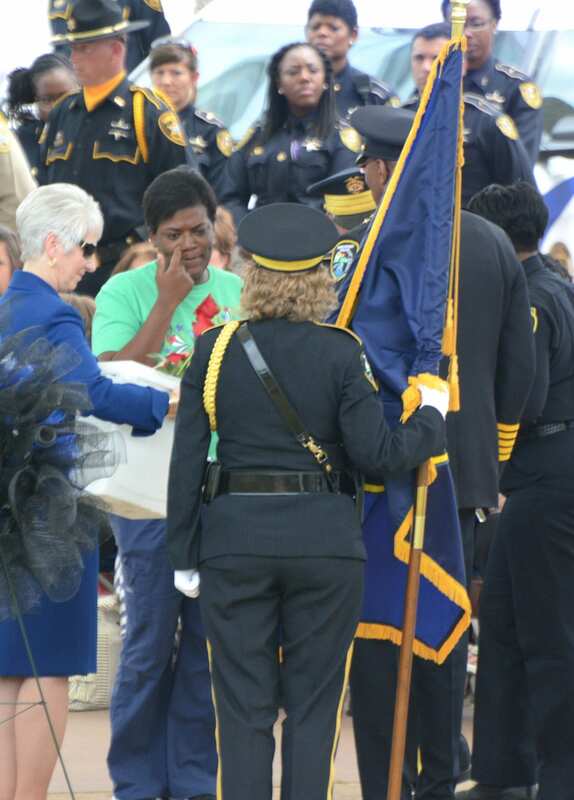 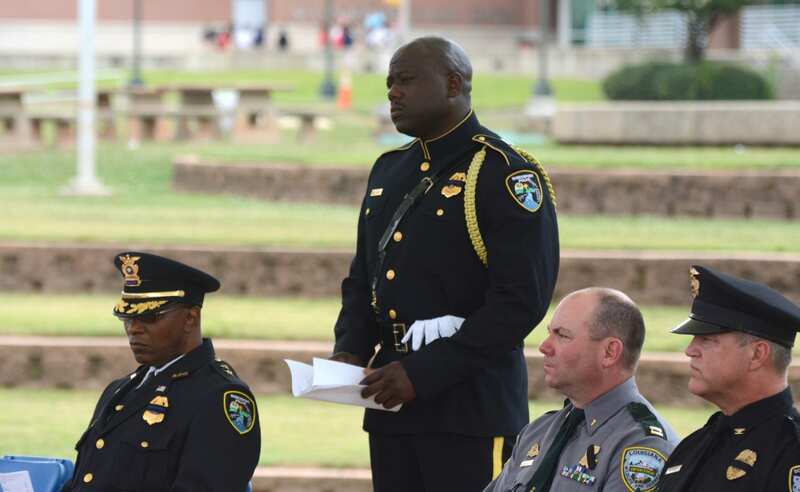 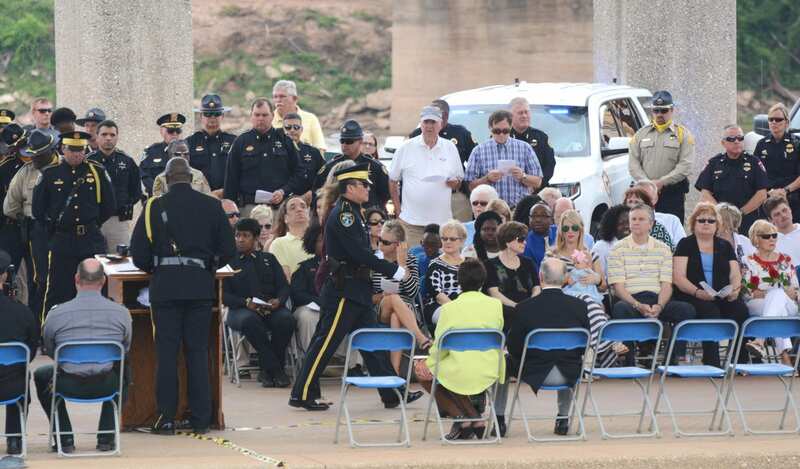 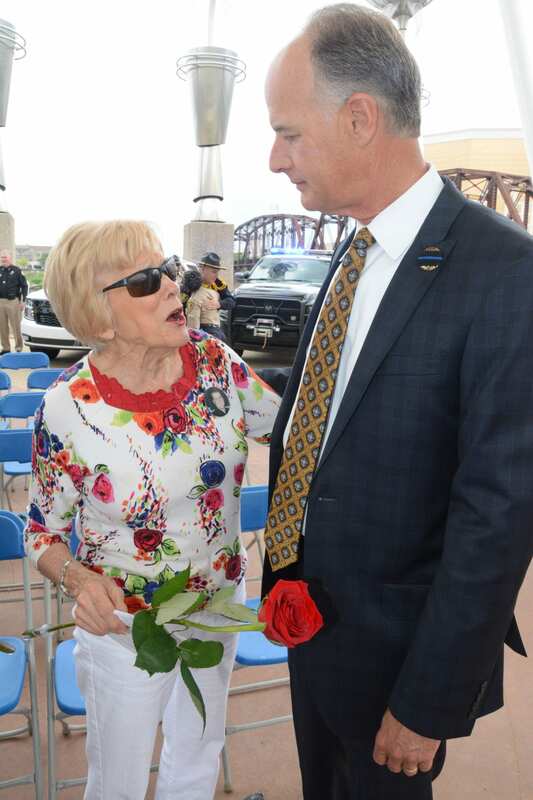 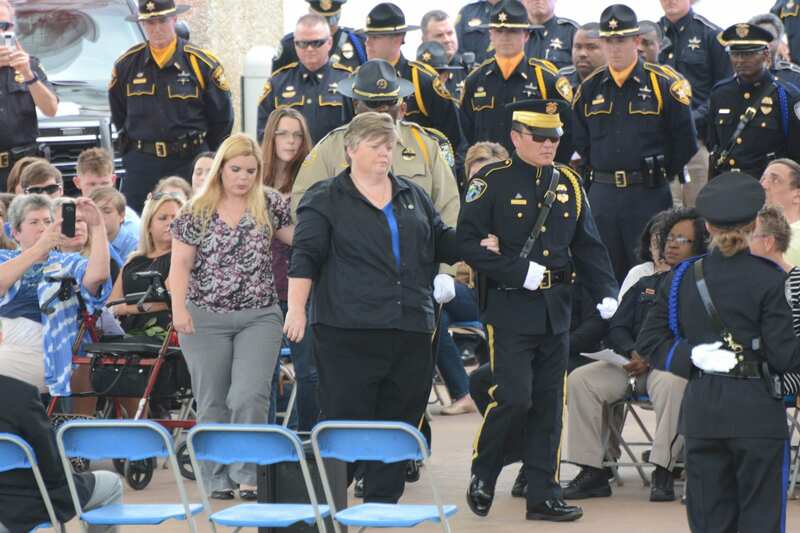 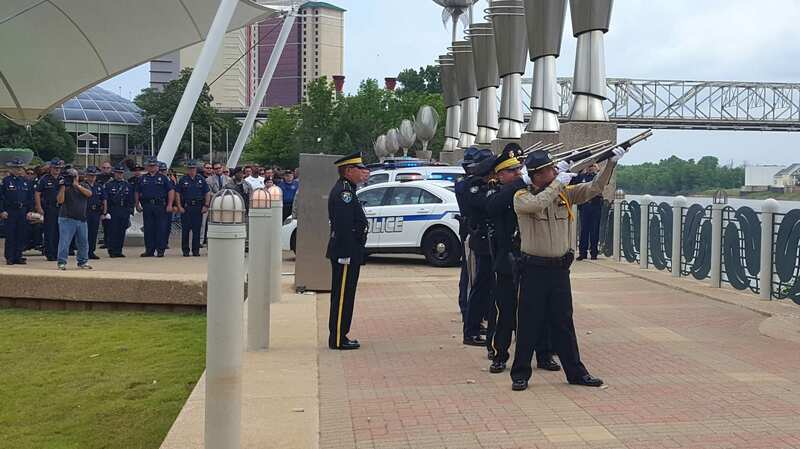 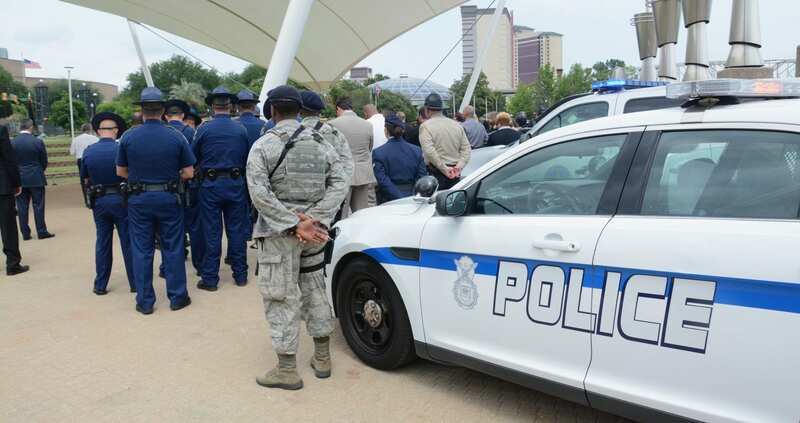 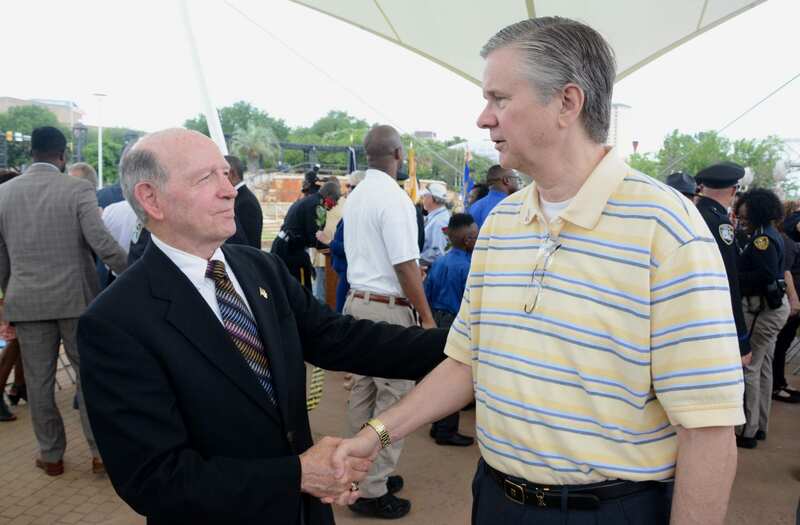 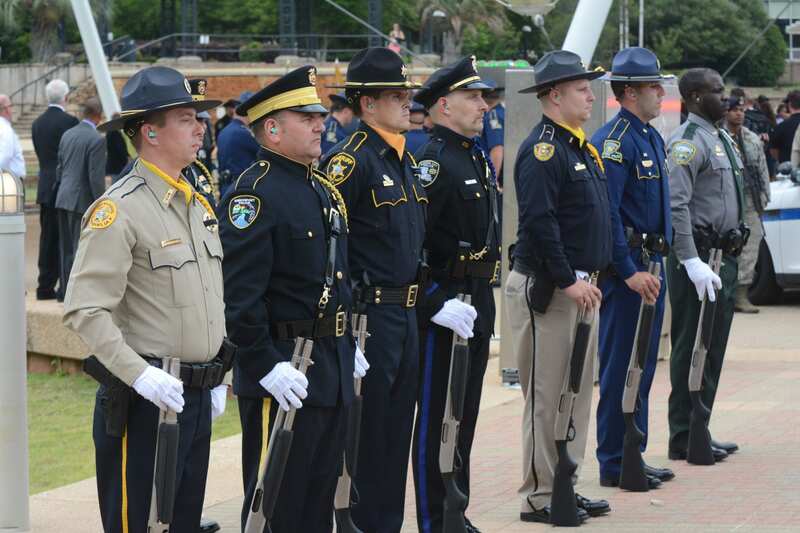 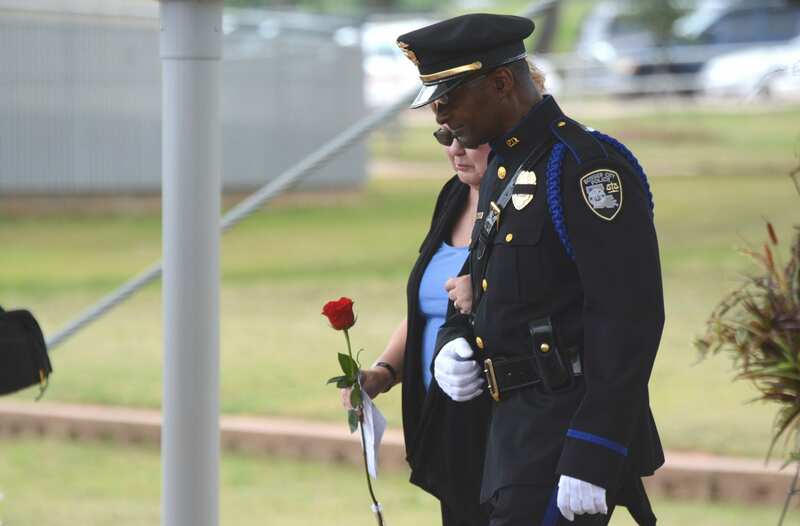 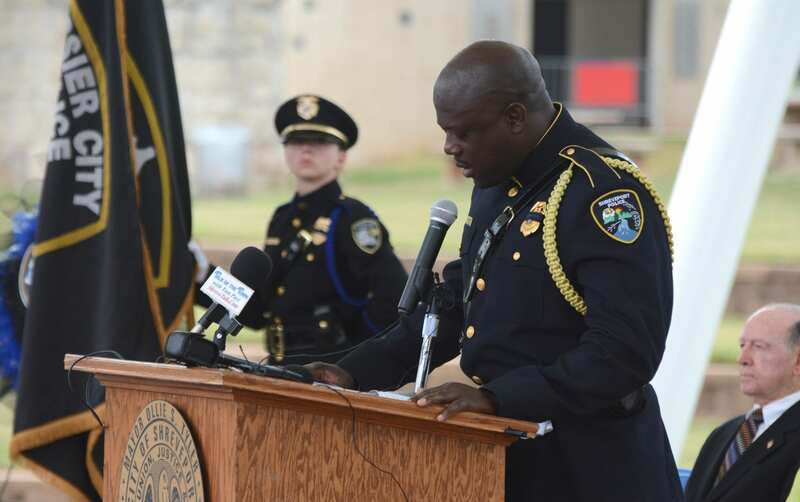 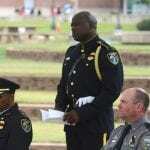 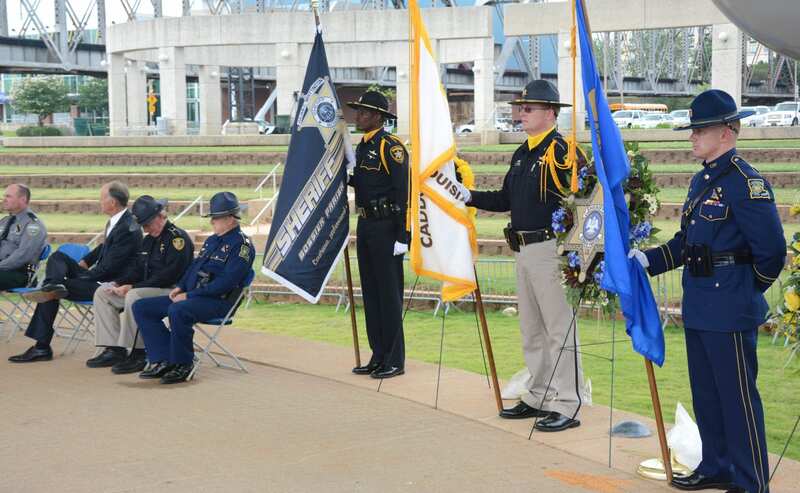 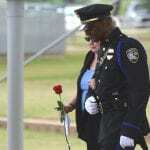 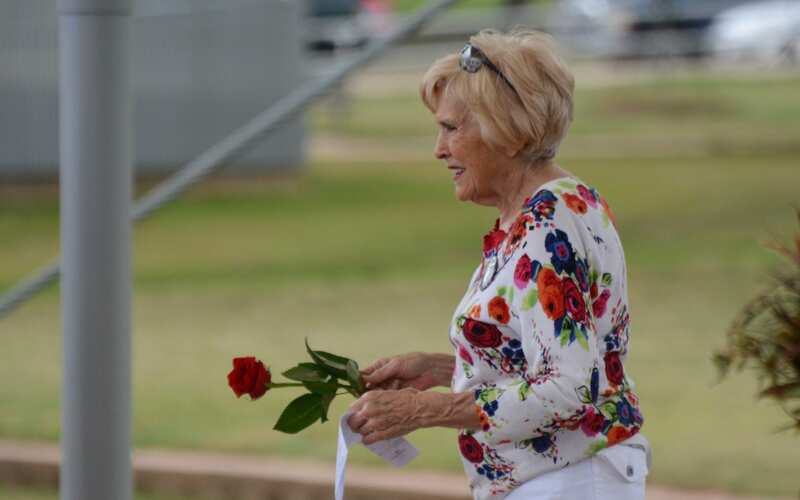 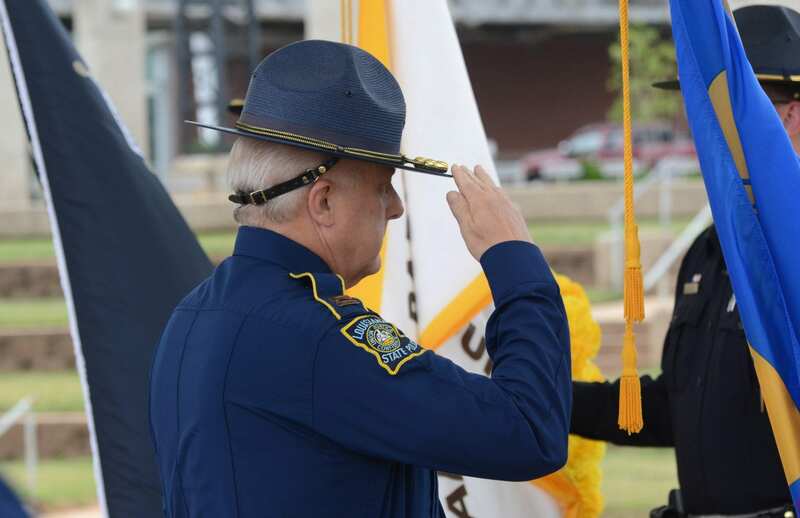 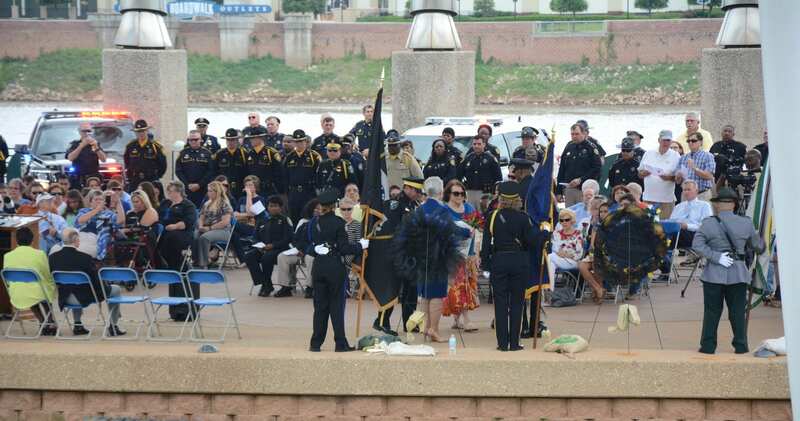 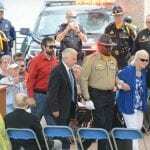 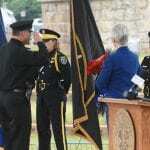 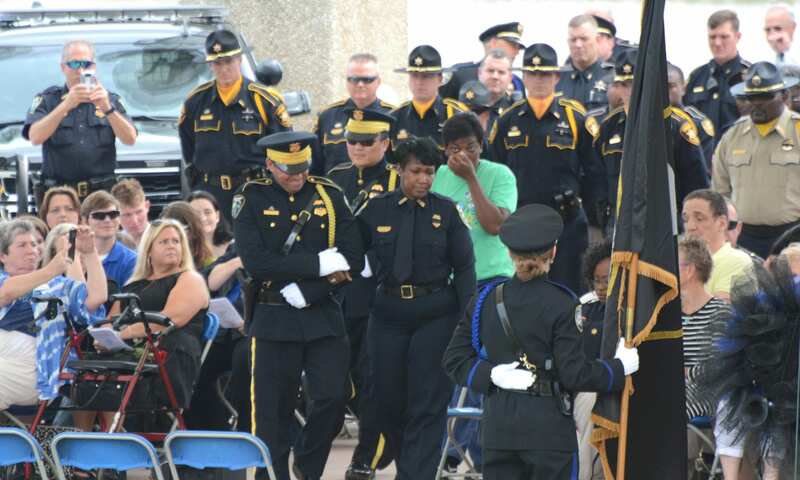 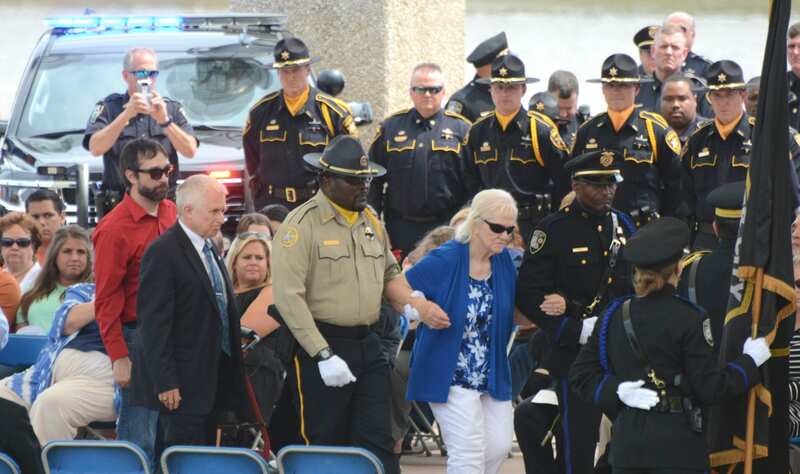 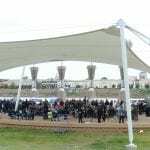 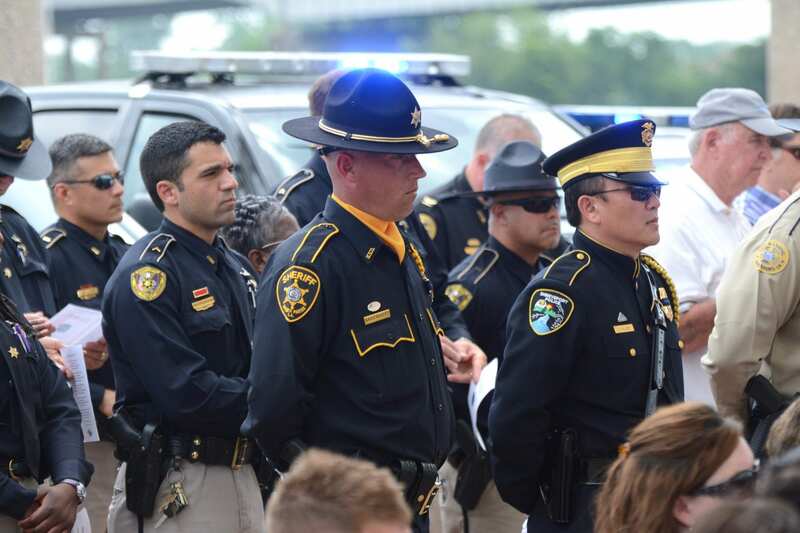 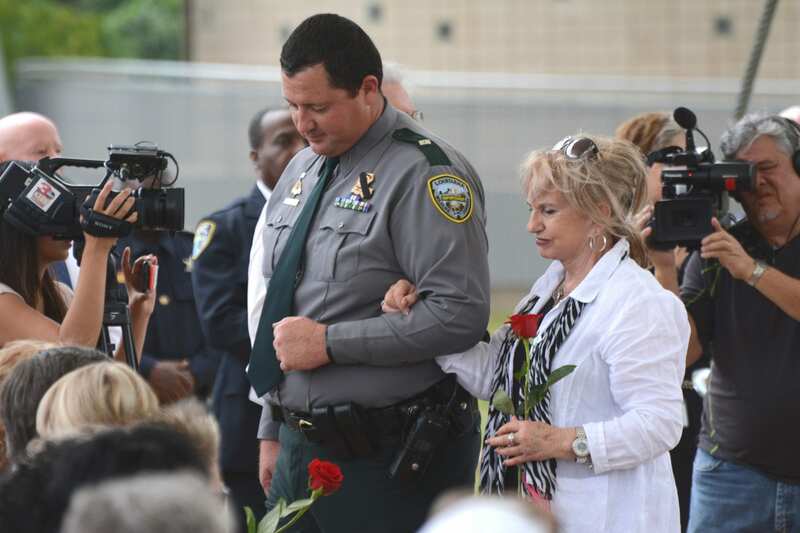 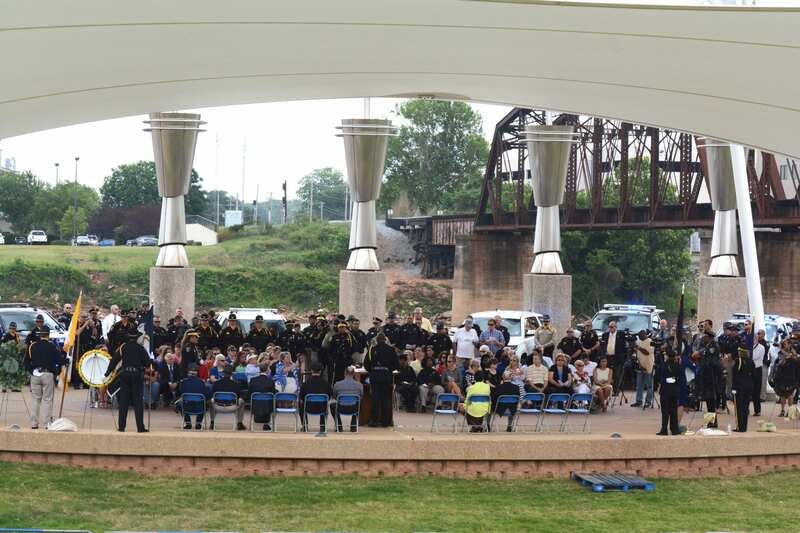 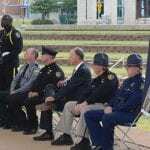 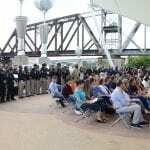 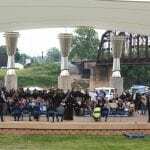 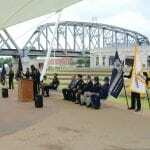 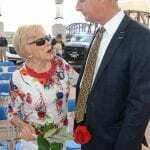 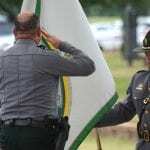 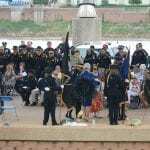 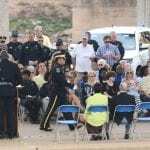 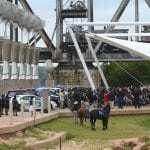 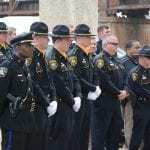 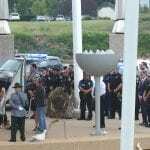 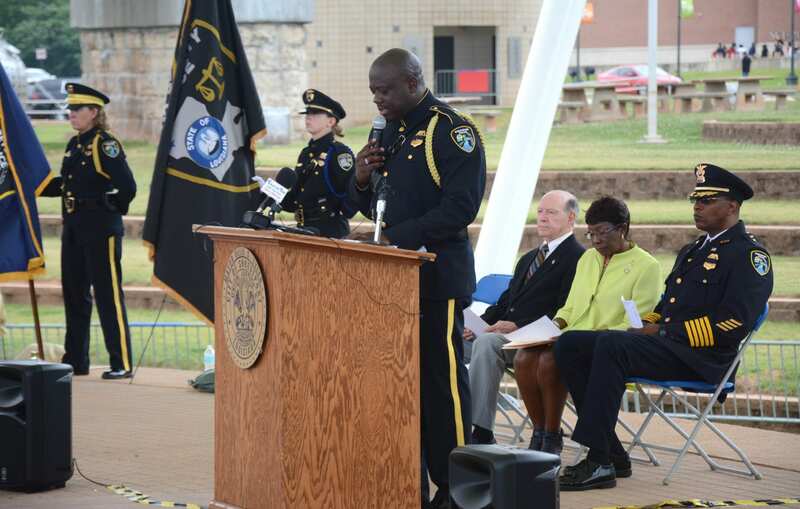 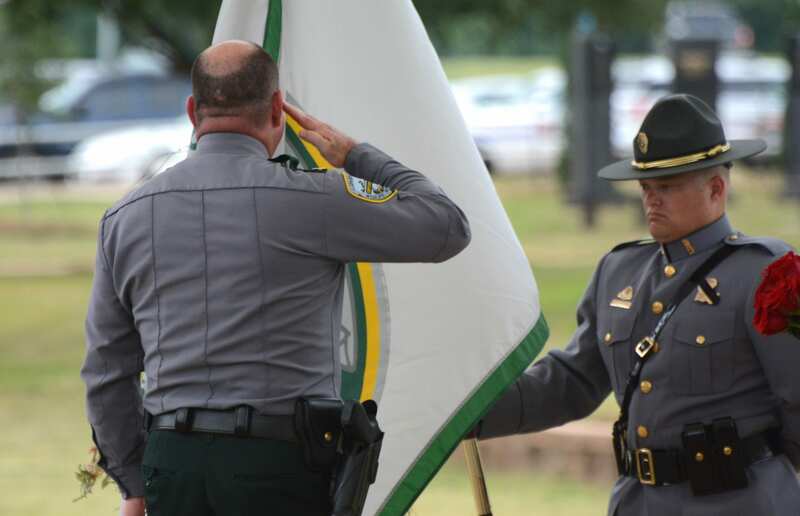 The local annual Peace Officers’ Memorial ceremony was held Thursday morning at Riverview Park in downtown Shreveport to pay tribute to those law enforcement officers from local agencies who lost their lives in the line of duty. 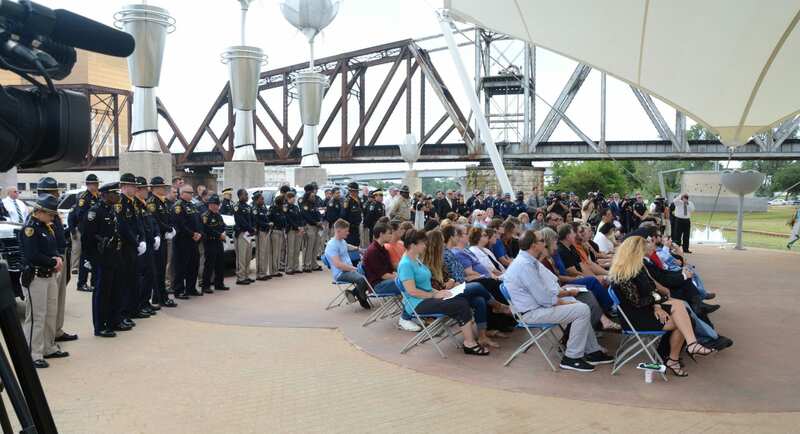 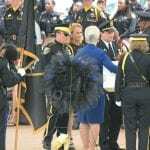 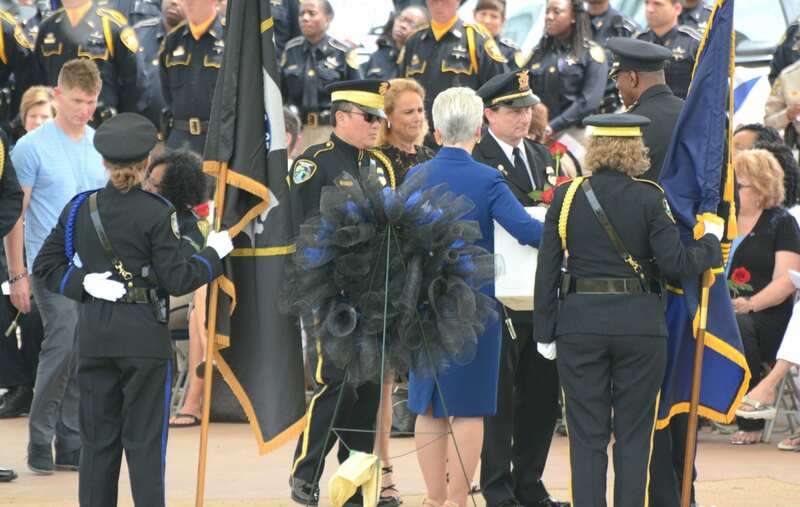 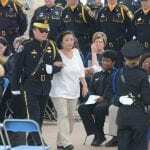 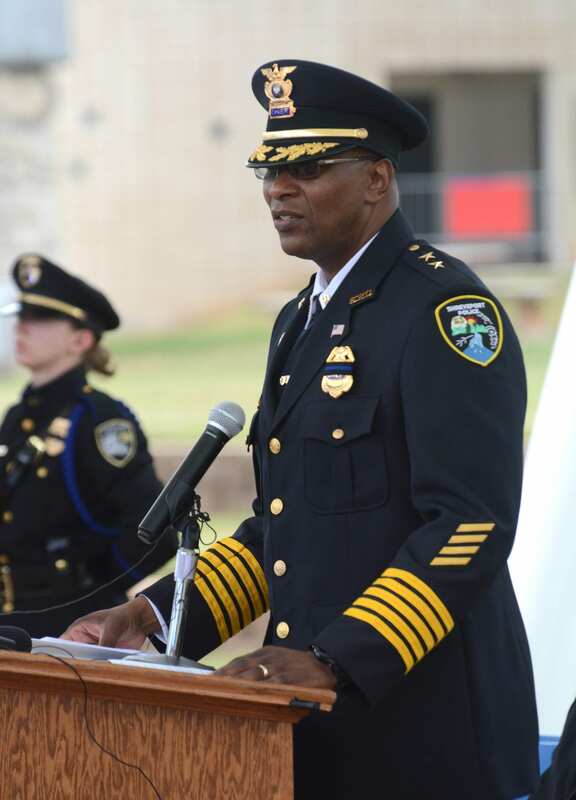 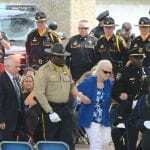 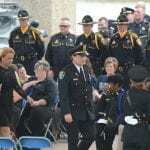 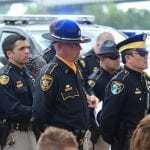 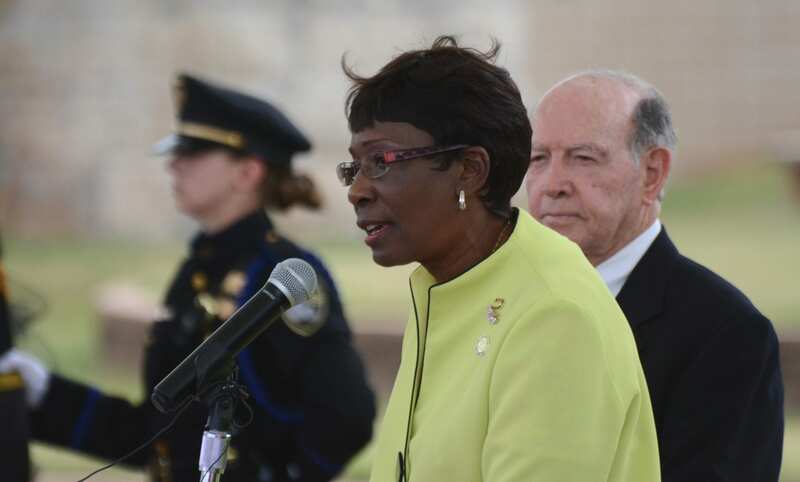 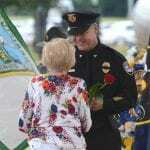 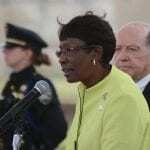 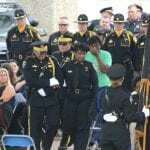 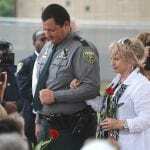 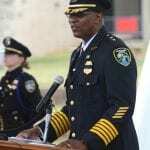 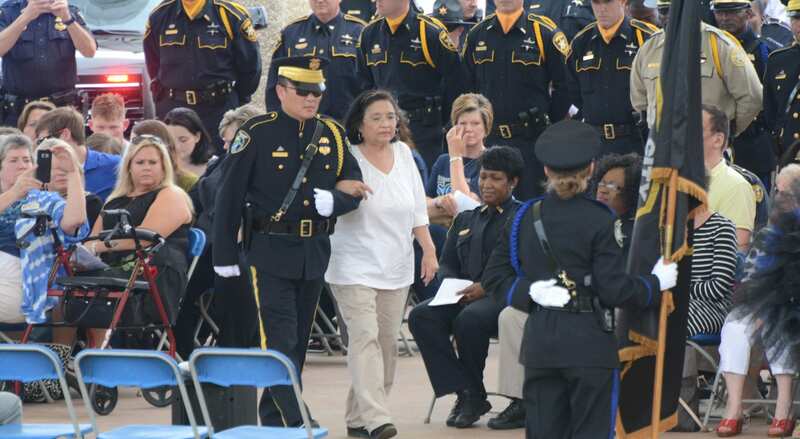 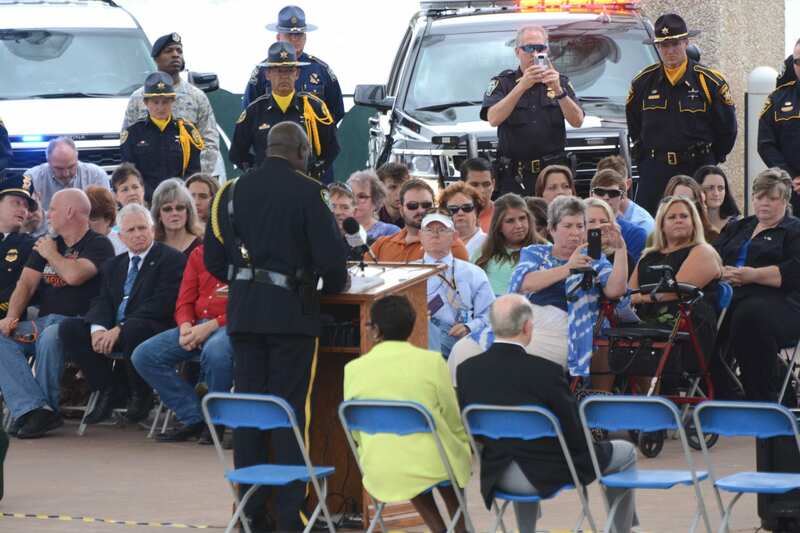 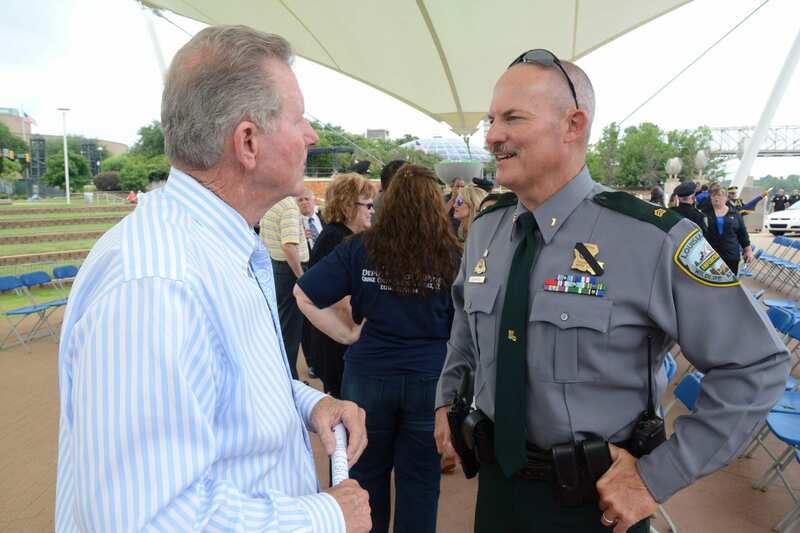 The ceremony was held during National Police Week, when communities across the country come together to honor those law enforcement officers who made the ultimate sacrifice, as well as show respect to their family members, friends and fellow officers. 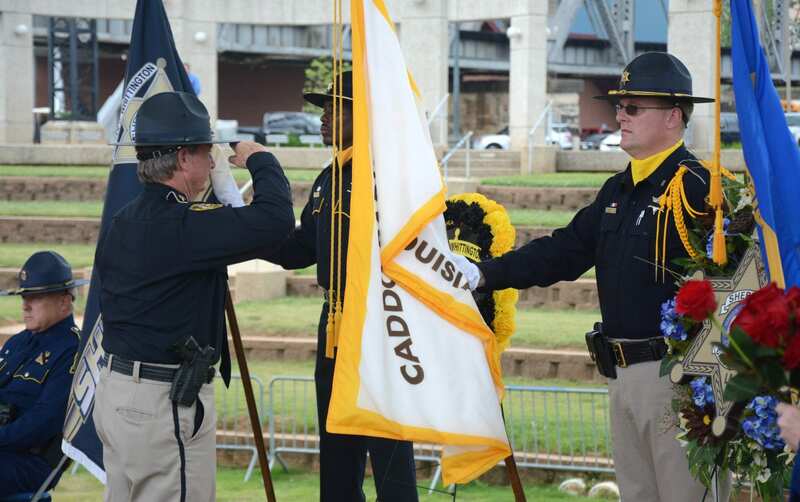 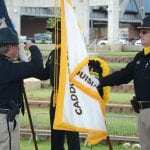 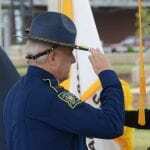 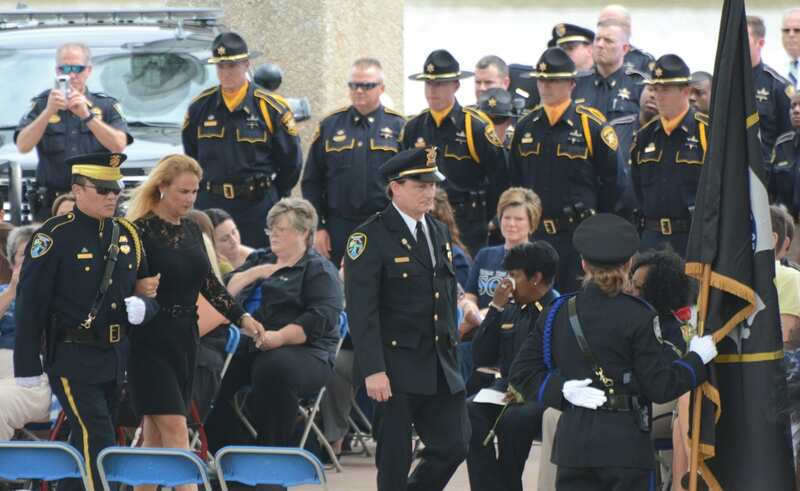 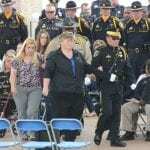 The event paid tribute to the 41 officers and deputies from Caddo and Bossier Parishes killed in the line of duty since 1872. 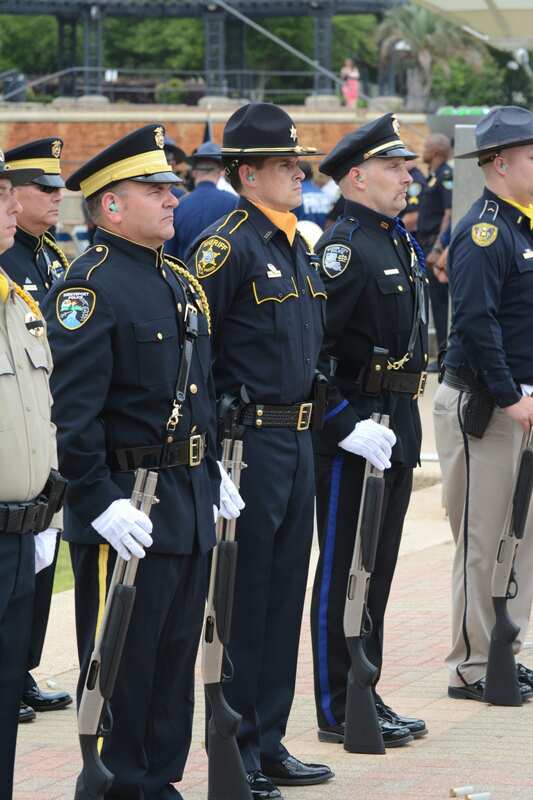 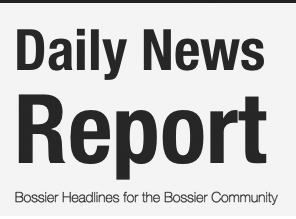 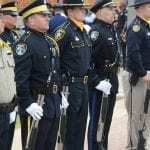 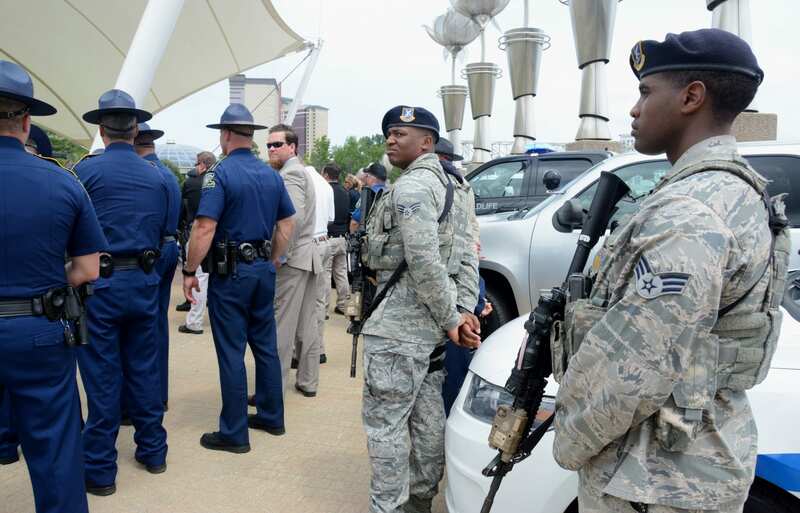 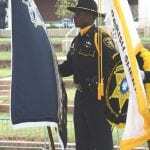 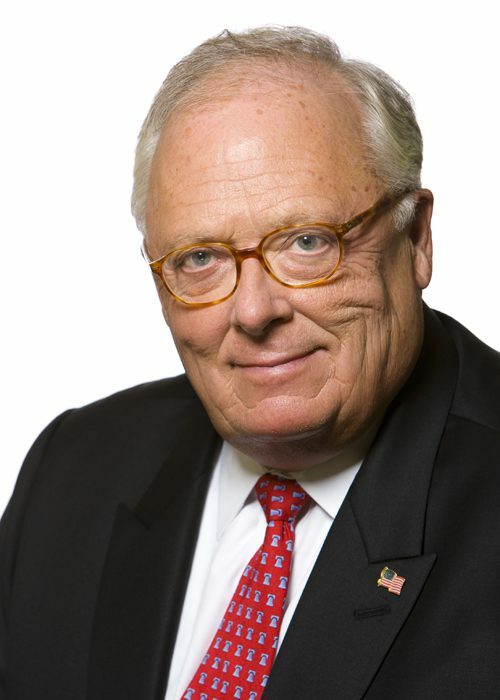 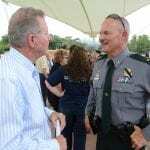 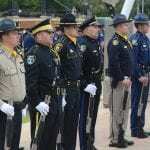 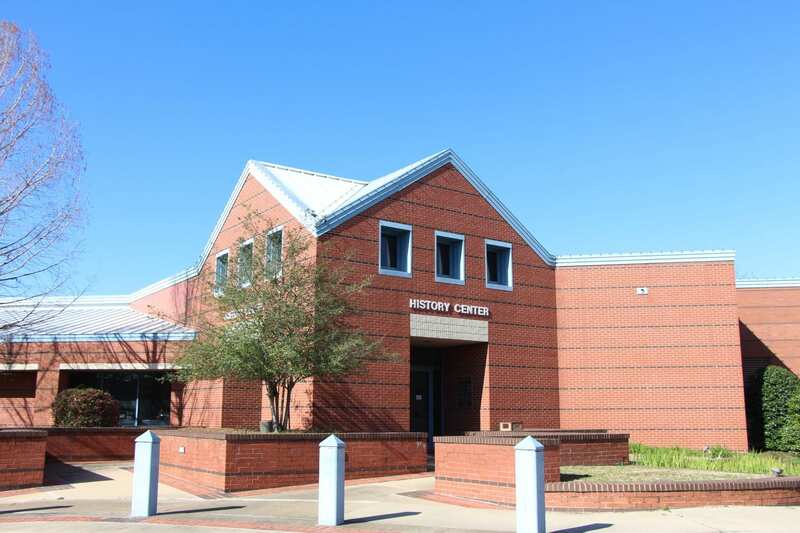 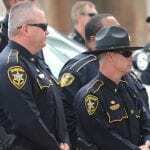 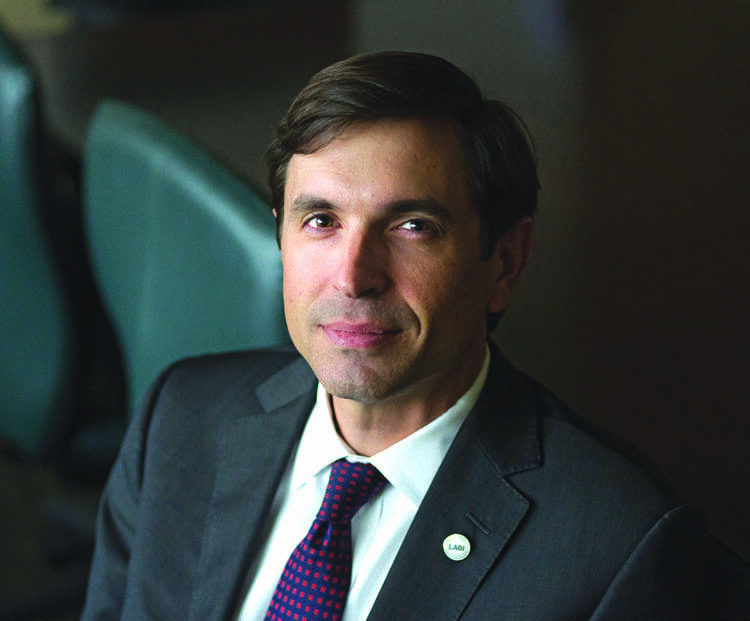 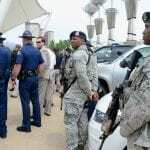 Agencies that participated included Shreveport and Bossier City Police Departments, Bossier and Caddo Parish Sheriff’s Offices, Louisiana State Police – Troop G, and the Louisiana Department of Wildlife and Fisheries, as well as the Bossier City and Shreveport Marshals Offices and airman from Security Forces at Barksdale Air Force Base. 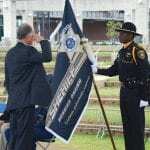 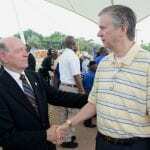 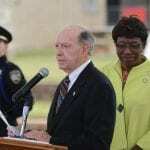 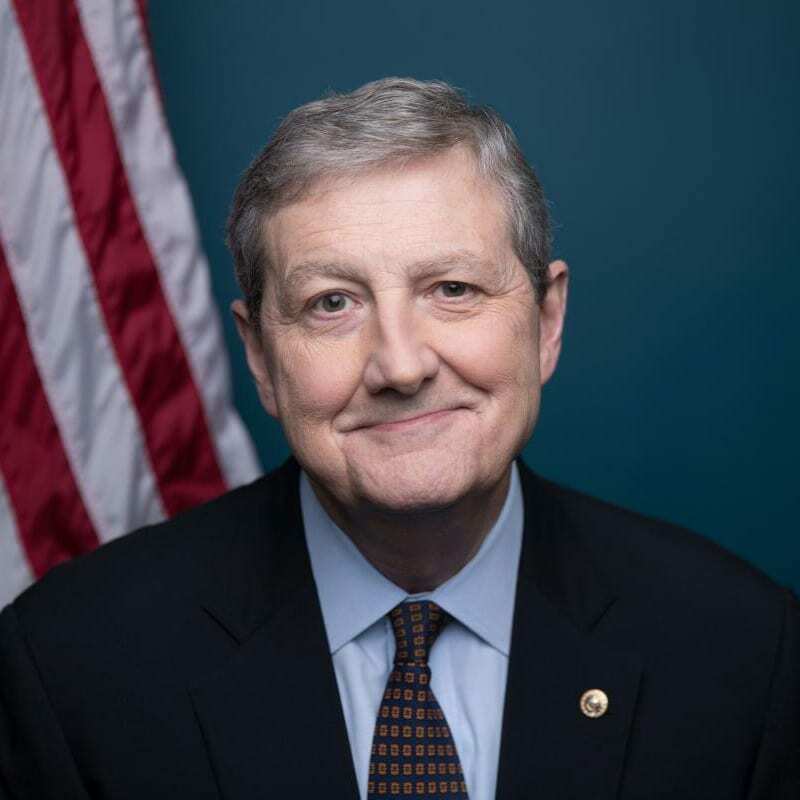 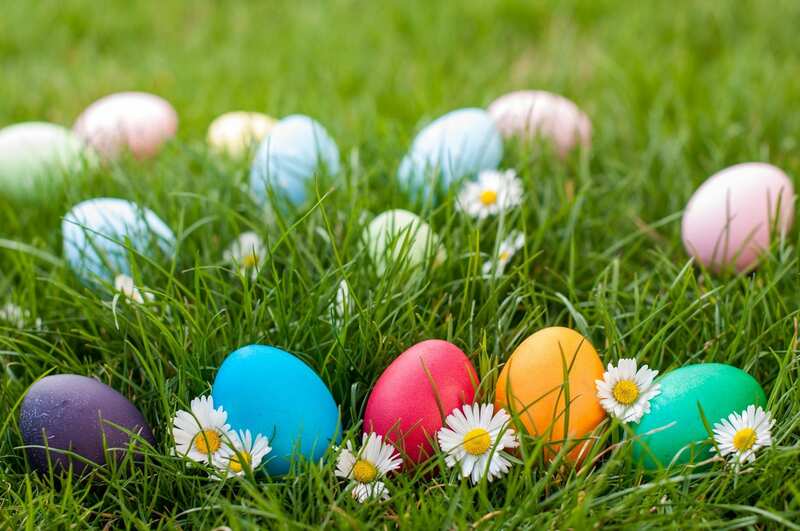 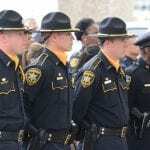 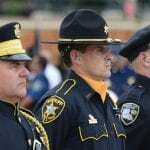 In 1962, President John F. Kennedy proclaimed May 15 of each year as Peace Officers’ Memorial Day in honor of the federal, state and municipal officers who have been killed or disabled in the line of duty.